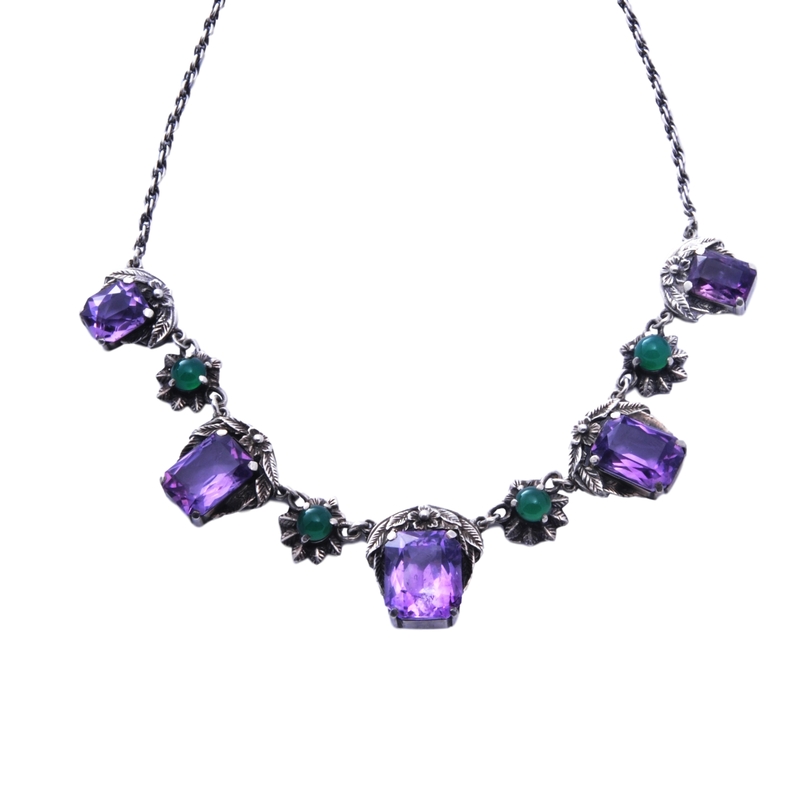 For sale is a beautiful amethyst necklace by Bernard Instone, with his characteristic use of amethyst stones and green agates and silver design leaves. This probably dates to c 1920. 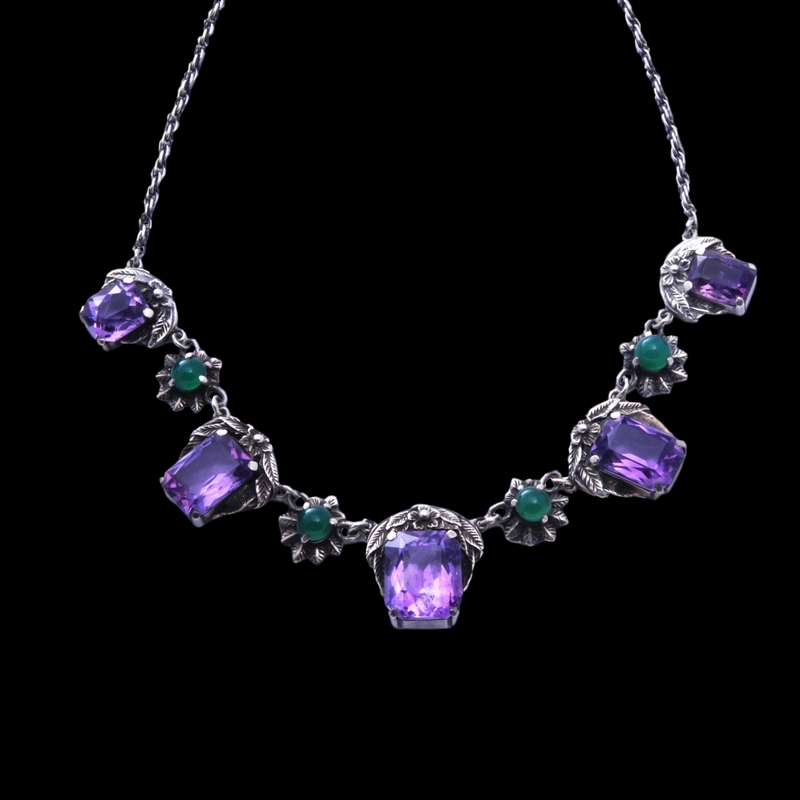 Bernard Instone was a Birmingham School jeweller from the later arts and crafts period. He trained under the Gaskins and was known to make jewellery for Sibyl Dunlop.